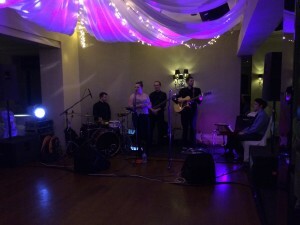 Wedding Party Band Hire Lytham – Great weekend of gigs! It’s been another busy week for everyone in the Vibetown camp… We’ve been all over the shop this last week! We’ve done Wedding & Party Function Band Gigs in Worksop, York, Wedding Party Band Hire Lytham, Huddersfield and Nottingham… We’ve certainly racked up the miles! We’ve done a number of new venues and also made a return visit to a few more. 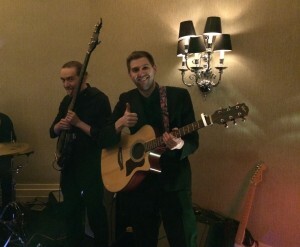 We’ve done a fantastic Wedding Party Band Hire Lytham gig in Nottingham @ Tom Brown’s Brasserie and also at Bondhay Golf Club in Worksop… Both great venues that we’ve not played before! Can’t wait to play some more Weddings and Party Function Band Gigs here again. We also made a return visit to The Grand Hotel in Lytham St Anne’s for a rather plush Wedding gig. We played here for a 21st Birthday Party back in April, so it was great to find ourselves back again after only a few months. Vibetown are available as a Wedding & Party Function Band For Hire in Lytham St Anne’s, Worksop, York, Huddersfield & Nottingham. We are also available for Jewish Weddings in Manchester, Leeds & Harrogate as well as a Party Christmas Function Band in Leeds, York, Harrogate & Manchester. If you are interested in hiring Vibetown as a Wedding Party Band Hire Lytham for your event then drop us an email via out contact page, we’d love to hear from you!